Bastian Carpet One Floor & Home in Allentown, PA is your local neighborhood expert when it comes to carpet. Carpet is still one of the top choices in flooring for its comfortable and even energy-saving qualities. There are multiple characteristics that play important roles in how a carpet functions, like the pile style and fiber types. Even the carpet cushion and base material impact how a carpet preforms. Carpet features an unmatched comfort no other flooring can replicate. Carpet is a durable and soft solution for your home. Turn a bedroom or living room into a personal retreat with new carpeting that adds comfort and style. Carpet has come a long way, and it now comes in styles that are stain and even water resistant. Go with a stain resistant carpet like Lees®, which has stain fighting technology and is perfect for homes with pets. Our Tigressá H2O™ carpets are totally waterproof, meaning you can confidently install then in your finished basement and not have to worry too much about your subfloor. Consider the color you want your carpet to be, something that compliments your home décor, brightens up a room or even hides stains and pet fur. Knowing what fibers a carpet is made of is also important in choosing a carpet for your home. There are synthetic fibers like nylon and polyester that can be made to be super soft or ultra-strong. Then there are natural fibers like wool, which retains color well and is also naturally allergy friendly. Carpet can be installed in several different places of your home such as bedrooms, living rooms, children’s playrooms, and even home offices. Stain resistant carpets that also feature wear resistance can be installed in high traffic areas like hallways and staircases. Since carpet absorbs moisture, it is best to avoid installing carpet near or in rooms with a lot of humidity and moisture like bathrooms, kitchens, and laundry rooms. We carry name brands you have come to love as well as Carpet One Floor & Home exclusive brands. Our superior carpet brand is Relax, it’s… Lees, which features a 25 year no-exclusions warranty. Learn more below about carpet and be sure to stop by our showroom and speak with a flooring expert about installing carpet in your home. To learn about our available carpet brands and benefits, click here. Carpet is pretty good about telling you when it’s time to be replaced. Stains start to stick and tears become more noticeable. Learn the signs about when it’s time to replace your carpet. Not all carpet is the same and can make an impact in your home. 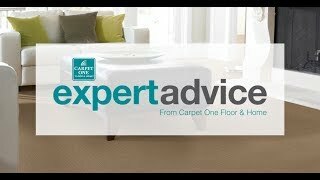 Learn about the different types of carpet and which would be best for you and your family.